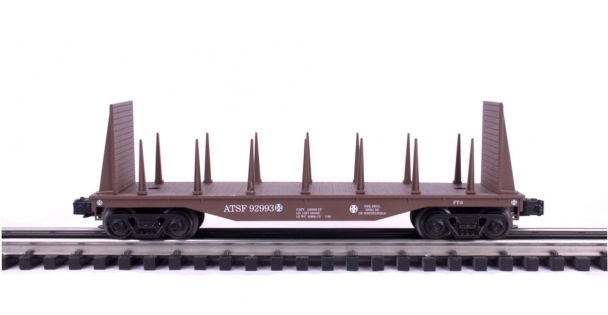 The Industrial Rail 7500 series flat cars are based on the typical 40' flatcar design used on many of the nation's rail carriers. These cars feature simulated wood decks, pre-installed bulkheads, and 14 user installed restraining stakes. Cars in this series share their basic design with the series 7000 loaded flat cars, series 1700 work cabooses, and series 7000 loaded bulkhead flat cars.